Missouri is a neutral state for poker players. Online poker isn’t legal, nor does the state appear to want to regulate online gambling (one way or the other) in the future. However, it is possible to play in licensed casinos or in home games. So while Missouri isn’t the best state, it’s far from the worst. That is – unless you play poker for a living. Pro poker players can find themselves in some trouble. What kind of trouble? Read on to learn more. Any form of gambling in Missouri that isn’t licensed is illegal. This is backed up by the Attorney General’s website. Home poker games appear to be legal so long as players are on an equal playing field, and no one is profiting from the running of the game, fees for entering the game or food, or rentals for equipment. Do Casinos in Missouri Offer Poker? Missouri has both brick and mortar and riverboat casinos. Players will be able to participate in blackjack, roulette and other casino games, as well as a large variety of poker games. A couple of casinos that stick out include the Mark Twain in La Grange and the River City Casino in St. Lewis. We receive a lot of questions about whether the top poker sites are legal in Missouri as well as which forms of gambling is legal or illegal. We thought it would be helpful to post those here along with our answers. 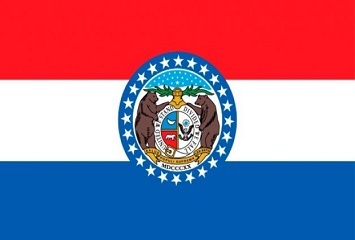 Will online poker be regulated in Missouri? From our research we haven’t found anything to sway our opinion one way or another. On another note, a law was considered that, if passed, would prevent welfare beneficiaries from spending money at casinos. Is there an online poker room that accepts players from Missouri? Missouri residents are able to sign-up to any poker room that accepts US players. This includes Bovada, BetOnline and Sportsbetting Poker. What other forms of regulated gambling is offered in Missouri? Other than the riverboat gambling Missouri hosts licensed bingo, raffles and a state lottery. Where can I read more about Missouri poker laws? Here’s some interesting facts about online poker and gambling in the state of Missouri. Want to play poker on your phone, tablet or laptop? It could possibly land you in trouble. Being a professional poker player can land in trouble, too, depending on how much you make. This is known as being guilty of “vagrancy,” and can land guilty offenders with a felony. Keep in mind that this is significantly less than what the IRS defines as the difference between a hobby and a job. For the IRS the cutoff point is 50%. If someone loses while gambling illegally, they can start a civil suit to try to recover those losses. Mike Caro, poker author, player and tells expert, was born in Joplin, Missouri in 1944.